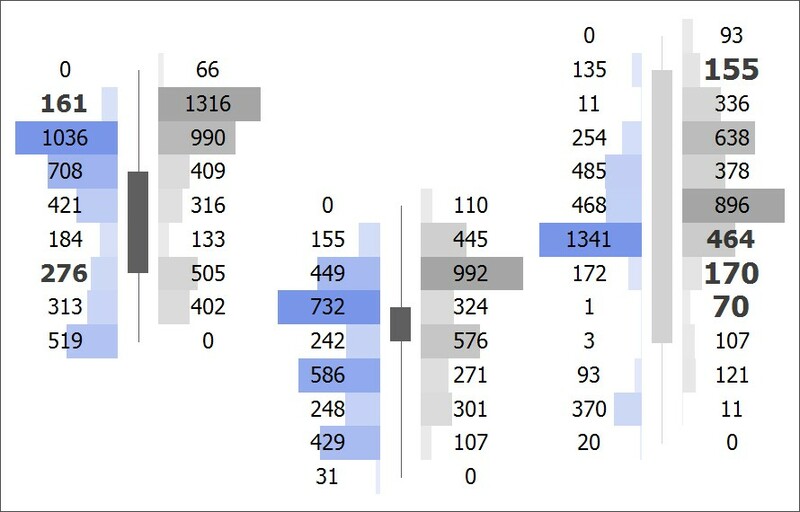 Volume Ladder is one of the most important indicators of order flow analysis. 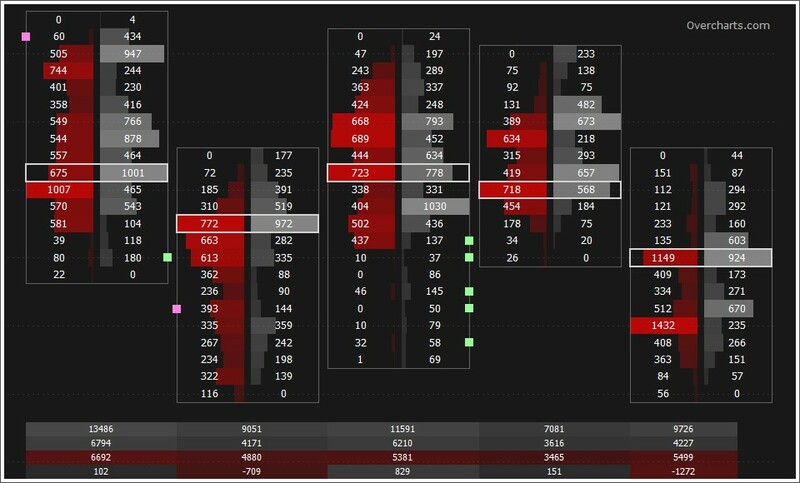 It displays Volume, Bid/Ask, Delta and other volume statistics all together inside of each bar. This allows you to trade faster and more accurately. 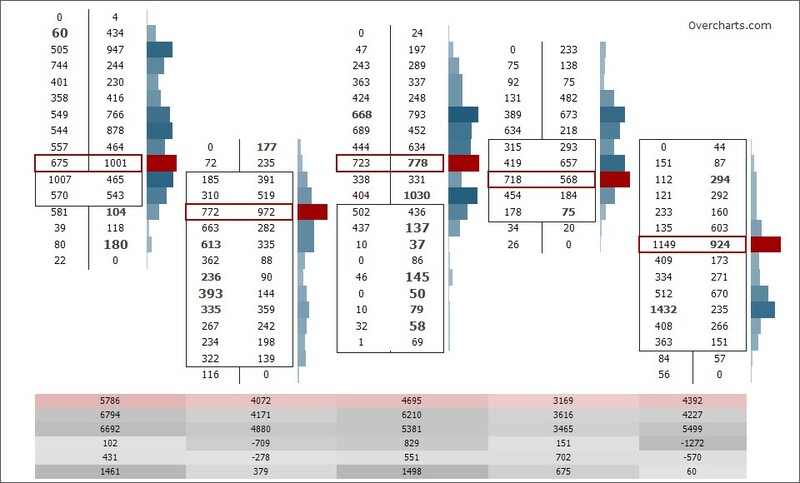 Unlike traditional bar chart or candlestick chart, the volume ladder chart combines Price, Volume and Order Flow all in one. 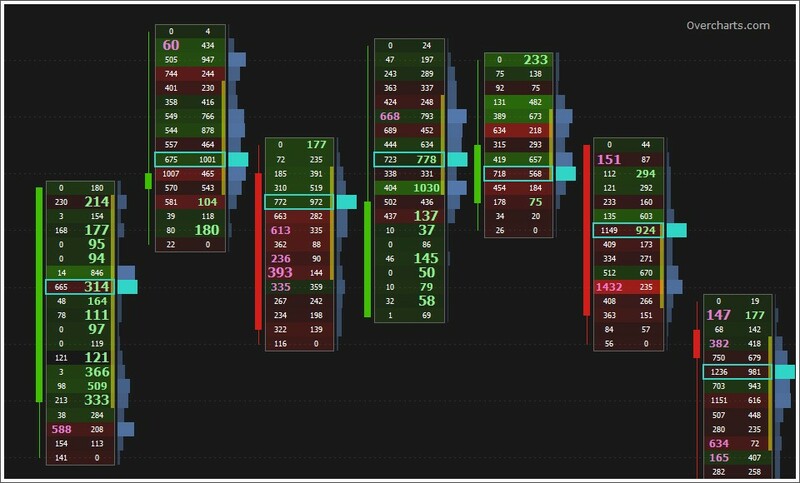 See acceleration, deceleration, absorption, bid/ask volume levels, delta and lots of other information in a single intuitive chart. 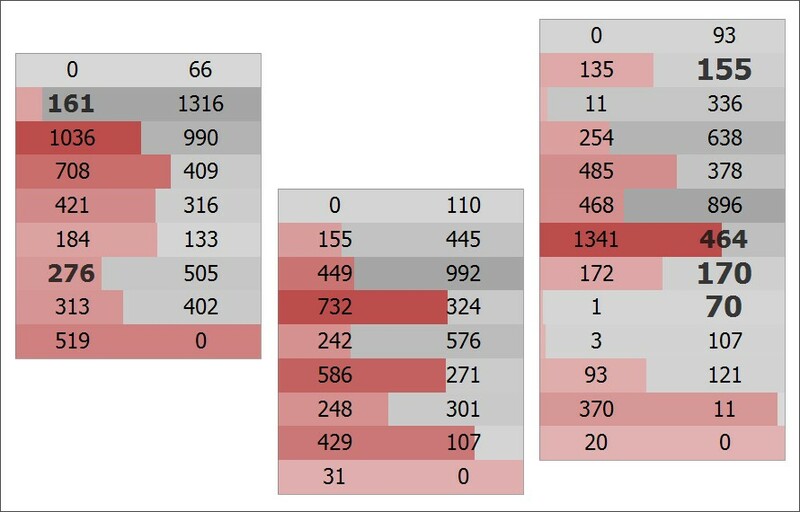 Trades, Total Volume, Bid/Ask, Delta, Delta %, Cumulative Delta, Minimum e Maximum Delta are displyed at the chart bottom. You can choose what information to display. 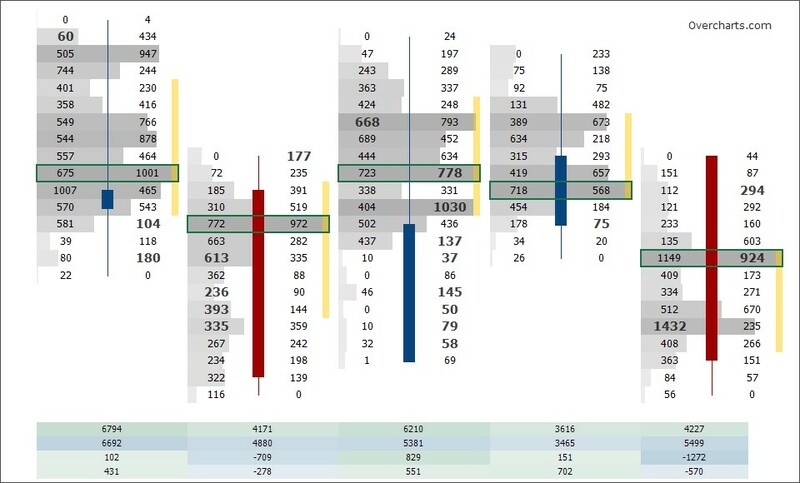 An optional fully customizable Session Volume Ladder completes the range of tools available in this chart type. It can be displayed on the right-hand side of the chart and it is updated in real-time. You can combine style, background, highlighters, position of candle, volume profile etc. as you like. The images on this page show only some examples of configuration and style. The style combinations available are many and for every need! 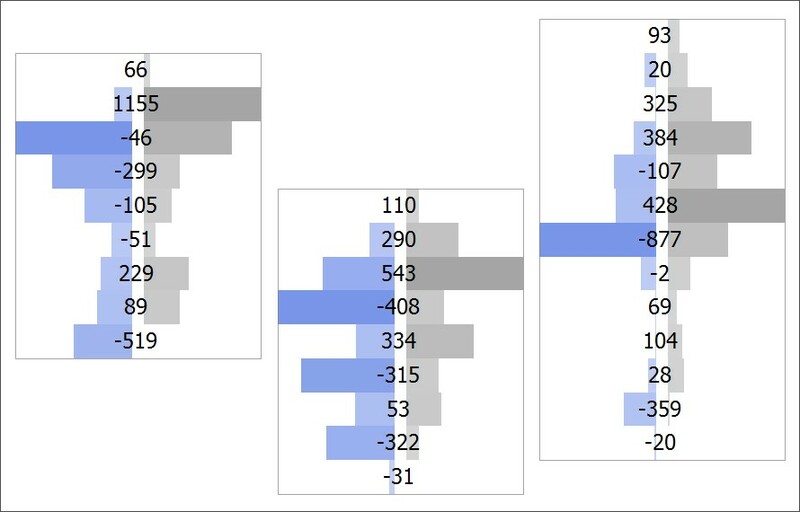 3 different Imbalance levels based on diagonal difference between bid/ask volume and 4 different ways to highlight each level. 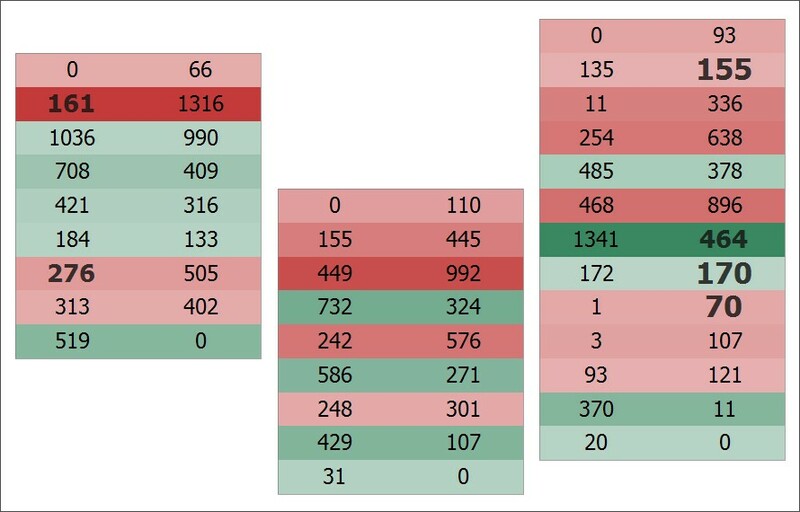 Show the candle where you want: Left, Right, Center or Justify (over all column of numbers), or simply hide it. Show the Volume Profile where you want: Left, Right or Justify (over all column of numbers), or simply hide it. Choose if the Volume Profile is based on Volume or Delta. You will be able to filter each tick by volume quantity. It is a pre-calculation filter and can be used simultaneously with Ladder Quantity Filter. 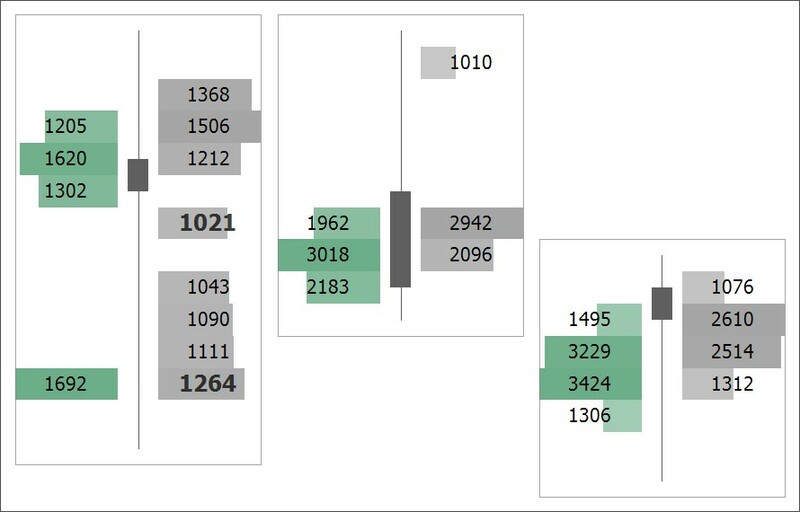 For example, the image displays only trades with size greater than or equal to 25. You will be able to filter every bid/ask quantity for each ladder price level. It is a post-calculation filter and can be used simultaneously with Trade Size Filter. 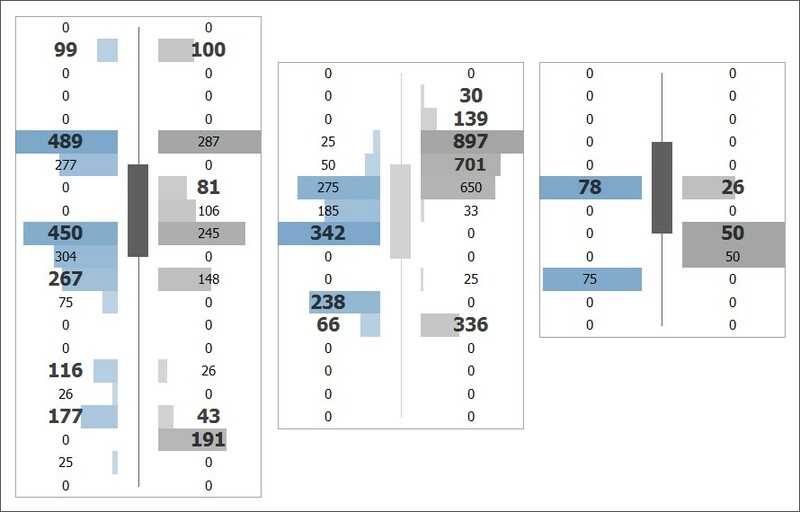 For example, the image displays only bid/ask volumes greater than or equal to 1000.